This Specification Task inserts an image into an Excel document to replace an existing shape that has a specific title. Show Excel Excel application will be visible if set to True. Export Sheet Name The sheet name in the spreadsheet that will be exported. 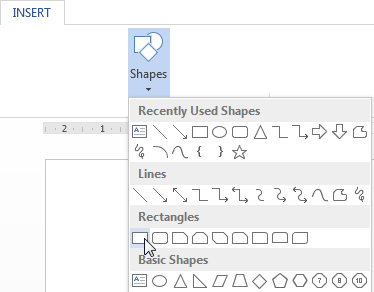 Select the shape and, from the Editing group in the Home tab, click Find & Select and select Selection Pane from the menu. Source File Name DWSpecificationfullPath&"\TableMaster.xlsx" C:\MyDocuments\Project 9999\TableMaster.xlsx This is the Full File Path location of the Excel document to replace images for. Titles Of Images "Logo" Logo This is a pipebar (|) delimited list of Titles of images to be replaced. 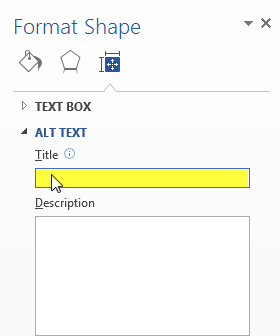 These are the Titles of the shapes that you have set Titles for using Alt Text. Show Excel TRUE TRUE TRUE will make the Excel application visible. FALSE will not. Export Sheet Name "Sheet1" Sheet1 Sheet1 is the name of the spreadsheet that will be exported. Extension For Saving File ".xlsx" .xlsx This will save the Excel document as a docx file.